CPE needs your help to keep fueling powerful movements! Click here to make a one-time donation (designate CPE as the recipient of your gift). Every donation helps keep CPE going strong. In 2018 we have the goal of signing up 20 new Friends of CPE giving $20 a month in honor of our 20th anniversary. Join us today! 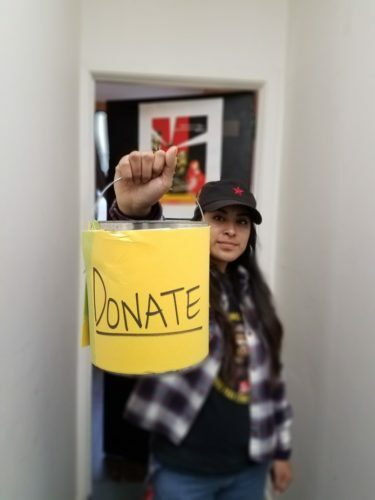 Please make checks payable to our fiscal sponsor, Kendra Alexander Foundation (put Center for Political Education on the memo line) and send them to Center for Political Education, 522 Valencia St., San Francisco, CA 94110. Interested in learning about other ways to support CPE? Get in touch to talk about the variety of ways you can support CPE. CPE is fiscally sponsored by The Kendra Alexander Foundation, a 501(c)3 tax exempt non-profit; all donations are tax-deductible to the extent allowable by law.